Have You Lost Deposit Money on an Off-Plan Property In Spain? Spanish ruling provides new opportunity for people who lost deposits on off plan property purchases in Spain to get their money back. A landmark judgment from the Spanish Supreme Court on 21 December 2015, ruled that banks can be held responsible, together with the Spanish property developers, for the loss of the deposits paid by Spanish property purchasers. The new opportunity for people to reclaim deposits lost in relation to Spanish off-plan properties from the Spanish banks has finally been picked up by the British media, including BBC news, The Daily Mail, The Times and The Irish Times, whose reports have all helped to alert those affected that they may be able to recover the money they lost. If you have been affected, contact Worldwide Lawyers on 01244 470339 or at info@worldwidelawyers.co.uk for a free, no-obligation assessment of your case to see if you can make a claim on a No Win No Fee basis. Why did people lose their deposits for off-plan properties in Spain? 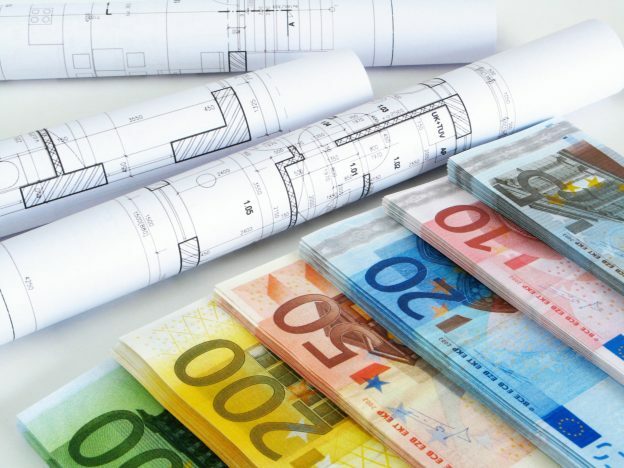 In accordance with the Spanish Law, builders and property developers receiving deposit money for properties in Spain were legally obliged to put this money in a specific account and provide their clients with a bank guarantee. This meant that the money would be safeguarded and the bank would then be liable for the return of the deposits if the developer failed to complete the property. This obligation was frequently breached by builders and property developers especially during the Spanish property crash. Many developers and builders then went bankrupt or just disappeared, leaving many unfinished properties and many of those who had paid deposits for off plan properties out of pocket. Although in theory these clients, could make a claim against the developer or builder, most developers and builders had already gone bust with no means of finishing properties, refunding deposits or paying out in relation to any claims made. Why are people now receiving refunds of their off-plan property deposit money in Spain? What’s changed? In December the Spanish Supreme Court made a ruling in relation to refunds of property deposits in Spain which has ignited fresh hope and realistic prospects for people to recover the deposit money they lost in Spain. This ruling has made it clear that the banks in which the defaulting property developers deposited their customers money, are liable to refund these deposits regardless of whether a bank guarantee was provided or not and regardless of the solvency status of the developer. This now allows people to make a meaningful claim against the bank with real prospects of recovering their money. Previously it was thought that the claim could only be made against the developer who in most cases were insolvent and did not have any money with which to refund the deposits. The Spanish Supreme Court’s decision has now provided thousands of people who lost money with off plan properties in Spanish with the right to make a claim for their money (plus interest) to be refunded by the Spanish banks. What is the Spanish Law relating to Off-Plan Property Deposit Refunds? A developer is legally required to provide a Bank Guarantee to the buyer where the property is not yet finished and where no Licence of First Occupation (LFO) has been obtained. The full amount of money paid prior to completion of the Spanish Porperty is guaranteed, not just the amount set out in the guarantee, even if this right appears to have been waived by the buyer. It is the developer’s obligation (not the buyer’s) to ensure that deposit funds are placed in a special account. The fact that the developer did not do this does not affect the buyer’s rights to a refund of deposits paid. Even if the developer did not comply with their legal obligation to give the buyer a bank guarantee, the bank with whom the funds were held is still jointly responsible for refunding this money to the buyer because the bank had a duty to ensure that the developer had complied with its legal obligations. The bank (or insurer who issued the guarantee) are jointly and severally liable which means that the buyer can sue the bank or the insurance company without having to first sue the developer. The banks can be sued regardless of whether there was a bank guarantee in place or not. I lost my deposit for an off-plan property in Spain, what should I do? If you have lost money when buying off plan property in Spain, Worldwide Lawyers can help. Contact us on 01244 470339 or at info@worldwidelawyers.co.uk. We can put you in touch with specialist lawyers who will be able to advise you if you are able to make and claim and for how much. We will be able to talk you through the process and arrange for a specialist lawyer to assess your claim for free and with no obligation, to help you to get a refund of the money you have lost in relation to Spanish property deposits on a ‘No Win No Fee’ basis. Those affected will only have the opportunity to attempt the claim for a refund of their lost money once. It is therefore strongly advised that you therefore get assistance from a lawyer who has expertise in this area of law to assist you in recovering your lost property deposits in Spain. Your right to claim may be subject to a deadline so you are strongly advised to contact us as soon as possible. If you have been affected and lost money in relation to an unfinished property in Spain, get in touch with Worldwide Lawyers as soon as possible on 01244 470339 or at info@worldwidelawyers.co.uk. We can arrange for a specialist lawyer to review your claim for free and with no obligation. Eligible claims can be made pursued for you on a ‘No Win No Fee’ basis.